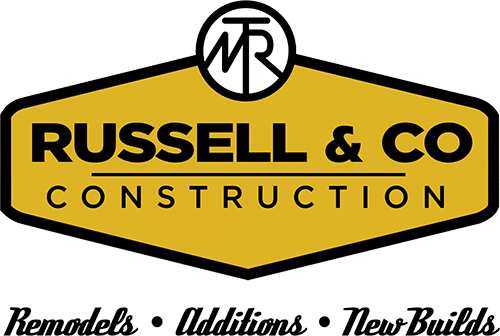 Russell & Co is a small, personable, and professional construction company that specializes in home building and remodeling. You can find our custom homes throughout the Salt Lake Valley, Park City, and Summit County. Your home should be an inviting space that truly reflects your family’s unique style. At Russell & Co, we combine personality with practicality, so that when you step into your house, you feel like you’re home. Russell & Co. Can Make It A Reality. We know that the process of creating your dream home is an emotional commitment. Russell & Co works closely with you every step of the way to make sure your dream becomes a wonderful reality. Let Russell & Co make your house your dream home, a welcome place to make memories with family and friends. We have lots of experience helping home buyers and builders with the transitions from old to new and navigating unexpected obstacles along the way. Russell & Co is committed to providing you with the highest quality work on every job, no matter how large or small. We respect our customers and value our relationship with you. We know you’re trusting us with your greatest asset—your home. We’ll make it the place you want it to be. With over 15 years in the building and remodeling industry, founder and owner Matt Russell is renowned for his ability to transform all kinds of spaces into beautiful, light-filled homes where families can make memories, share laughter, and comfortably enjoy the day-to-day moments for years to come.